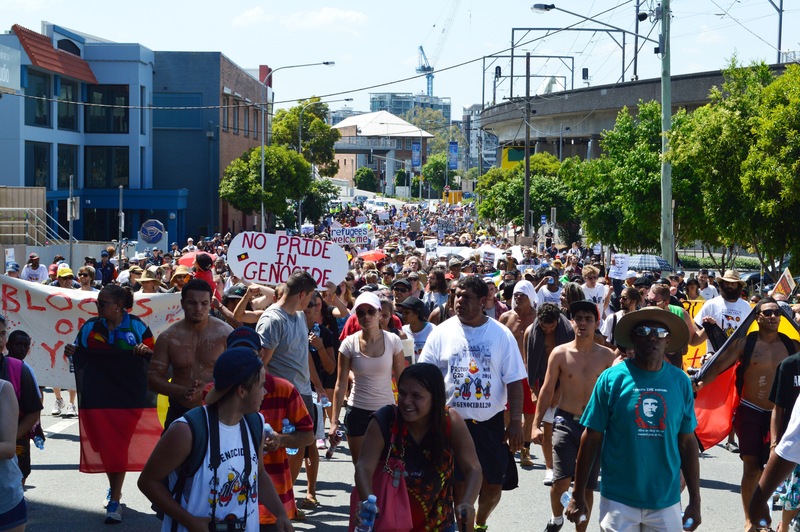 This weekend, upwards of 3,000 people marched across Brisbane in opposition to the G20 Leaders’ Summit currently taking place at the Brisbane Convention & Exhibition Center. The protesters – including indigenous groups, anti-capitalists, opponents to transnational corporations and many more – rallied in unison, sending an emphatic messages to the representatives of each nation, and the corporate agendas they serve. The G20 Leaders’ Summit is an annual gathering of representatives from the 20 largest economies in the world, and almost two years ago, Brisbane was announced as the host for 2014 event. Following the announcement, many panels and discussions were held to critique how the protests would unfold, methods to effectively convey messages and the diminishing of civil liberties under Draconian-type legislative pieces. Following a number of speeches at the Roma Street Forum, police guided the collective response through a calculated route to ensure the safety and protection of all parties involved. Police did their job efficiently and any observable arrests were justified under special legislation introduced for the weekend – a large contrast from other summits across the world in previous years. 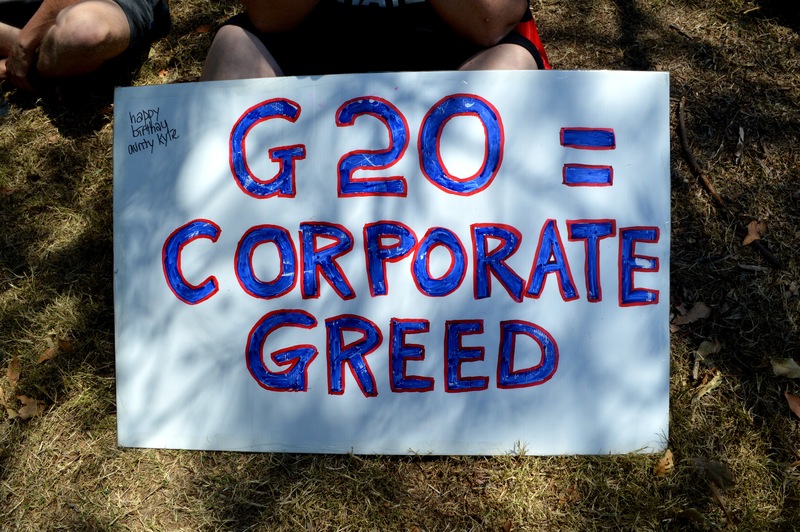 The protesters, following their march, gathered in Musgrave Park for celebrations and discussions, as the G20 leaders gathered to tackle a range of geopolitical issues. Despite almost a dozen arrests in the lead up to the arrival of world leaders, protesters march peacefully and in full cooperation with police services today, an image that completely contradicts the sensationalism of the mainstream media in recent weeks. When it was announced that Brisbane would play host to the G20 almost two years ago, protesters and organisers of the event made their intentions clear during the beginning stages of planning that collective responses will be a peaceful, democratic approach to counter the summit. The police, in a number of press conferences and forums, also expressed a mutual agreement, and the catalyst had been set for non-violent demonstrations of concerned individuals. Despite this understanding, Murdoch-lead pieces of propaganda from the press – particularly The Courier Mail – deliberately attempted to construct a fabricated perception of an environment filled with anarchy and violence through sensationalist coverage and fear-mongering campaigns. This notion, reported almost daily in the lead up to the G20 (pictured below), was proven to be nothing more than unprofessional cases of hyperbole based on assumptions as the week comes to a close today, with very few arrests and commended efforts expressed by all parties involved. 1) The mainstream media explicitly uses this type of reporting as a means to induce fear, manipulate public opinion of any legitimate forms of resistance, and to sell advertising at a higher rate due to the demand of this sensationalist coverage. This should not be the role the media, yet the masses continue to openly accept a painted picture of deception and spin, rather than questioning the control of subconscious perceptions by the parties involved. 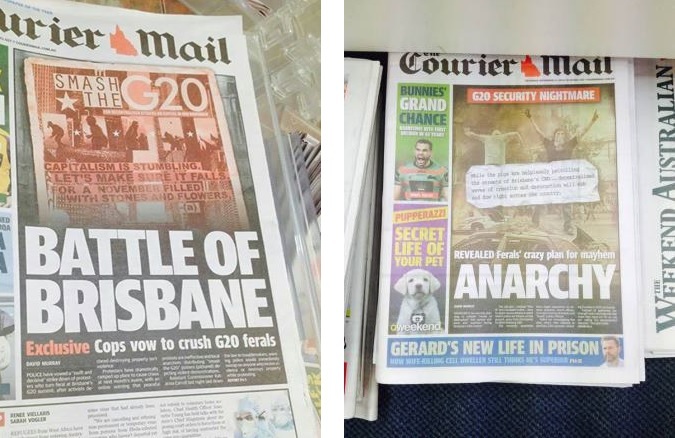 2) The (almost) half a billion dollars spent on the G20 Summit this week – including well over 6,000 police officers – was only justified by the media and a fabricated ‘anarchist’ threat, and used to subsequently turn Brisbane into a police state where movements and activity was monitored and restricted. These funds could have been spent in numerous different ways, rather than spending it on ‘protecting’ the elite and their delegates from a threat that never exist in the first place – as this week has proven. 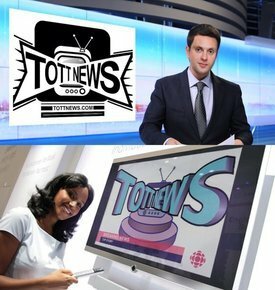 Note: TOTT News will be further expanding on the mainstream media and their portrayal of the G20 Summit over the next few months. 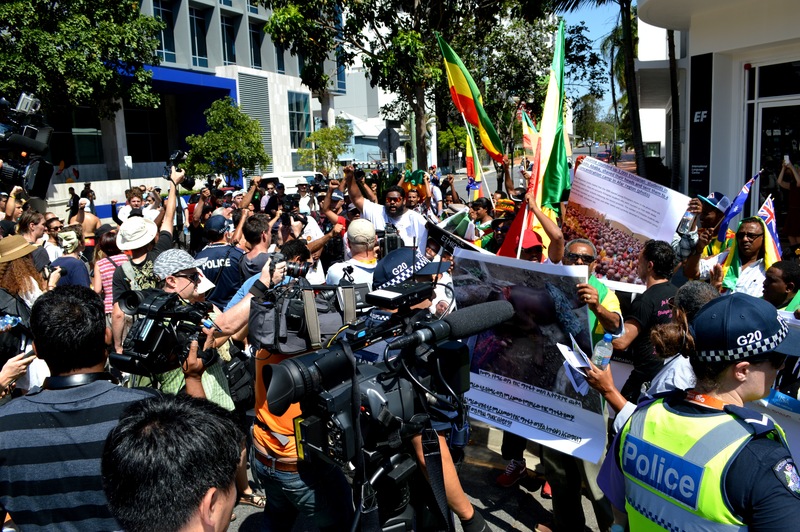 Although the march was highly successful and the cooperation between protesters and police maintained a status of peace and negotiation, almost a dozen protesters were arrested during the march and around Brisbane during the festivities. Ciaron O’Reilly, a Brisbane activist known around the world for his support of Julian Assange and Bradley Manning, was placed on a ”prohibited persons list” ahead of the support for merely holding a anti-Obama placard and expressing his right to political beliefs. Furthermore, this notice was given to him based on ”reasonable suspicion”, with no explanation given. Today, O’Reilly ignored these orders and entered the Security Zone in Brisbane, and was shortly arrested by police once he was discovered to be in the area. A supporter of O’Reilly was also arrested, after taking his grievance with the authorities to the Brisbane Convention & Exhibition Center. Other activists and protesters, including a lady in possession of a gas mask, and a man wearing an Anonymous mask were taken into custody, and a number of rogue groups staged demonstrations around Brisbane as a means to disrupt the proceedings and send a firmer message to the G20 leaders here in Australia. A number of Ethiopian protesters also caused scenes during the G20 Peoples’ March at an intersection. The rally, in opposition to atrocities committed by global powers in the African region, assumed that the Peoples’ March was in support of the G20, and caused commotion to block the march from continuing. Police began forcibly moving on the demonstrators when march routes became blocked, however, an understanding was reached and the two groups unified to form one. This rally concludes a week long series of discussion panels, forums and community workshops, and is the culmination of almost two years of work from activists and the police services. Many things can be learned from this experience: The people of Brisbane, despite any underlying differences they have with one another, came together in unison this week to better understand the threat behind their ideological divisions, and this is something that should be commended on the highest levels. Indeed, in exposing the mainstream media as a tool of falsified propaganda, protesters have once again demonstrated that unity is stronger than division, and maintain assertion that real change is possible. This week in Brisbane was a time where groups collaborated and joined forces, and hopefully this alliance continues past the G20 Summit in Australia. A big thank you and congratulations to the Briscan G20 team and all parties involved with making this week one of productivity and progress.